Rep. Neugebauer's H.R. 5465, which would repeal the Durbin Amendment, is not likely to move in Congress this year. 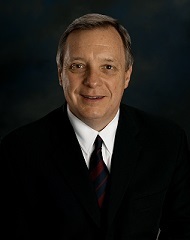 Sen. Richard Durbin (D-Ill.) is vowing to fight a renewed effort to repeal the cap on debit card interchange fees – a part of the Dodd-Frank Act that is known as the Durbin Amendment.